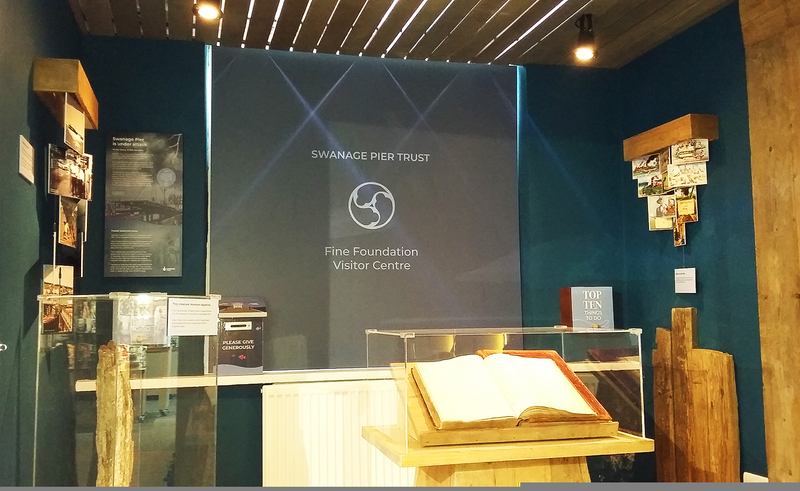 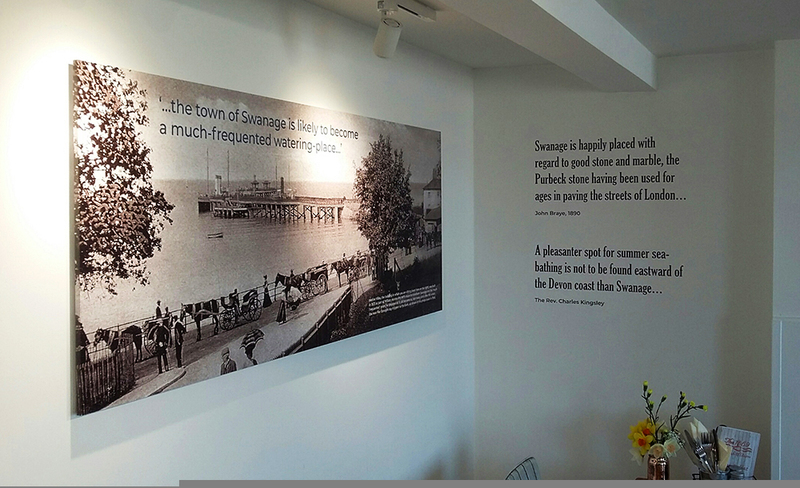 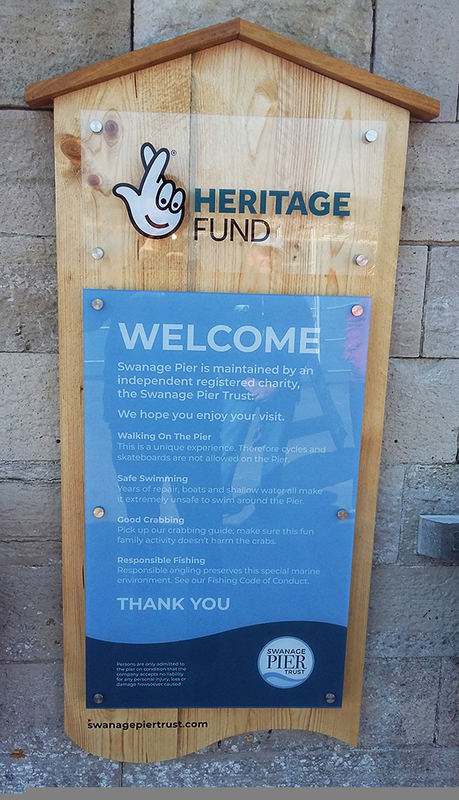 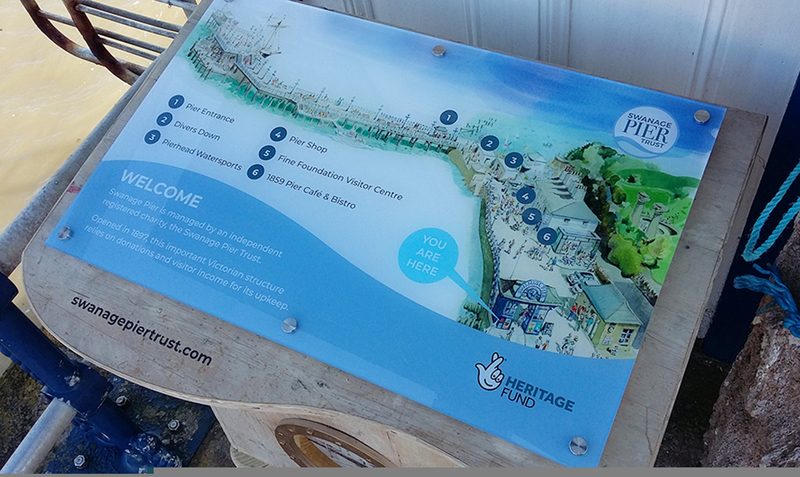 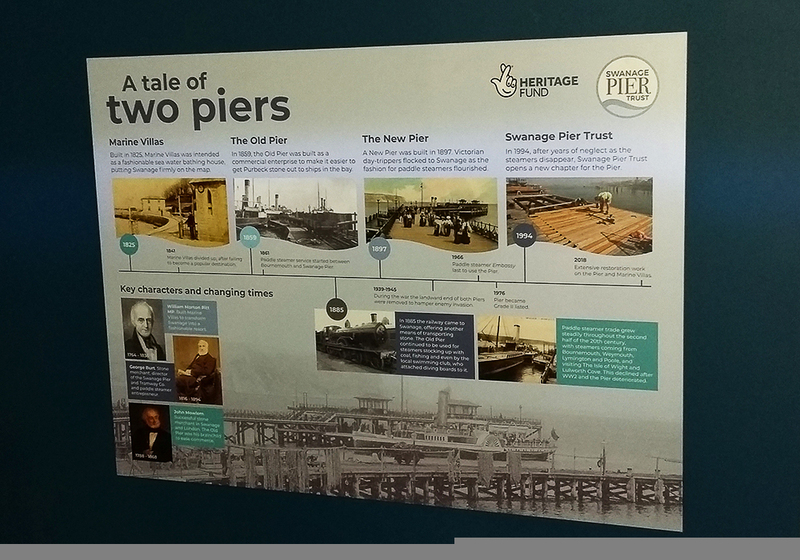 The ‘Foundations for the Future’ project for Swanage Pier Trust has seen a complete renovation of the Pier, its shop, cafe and exhibition centre – Marine Villas. 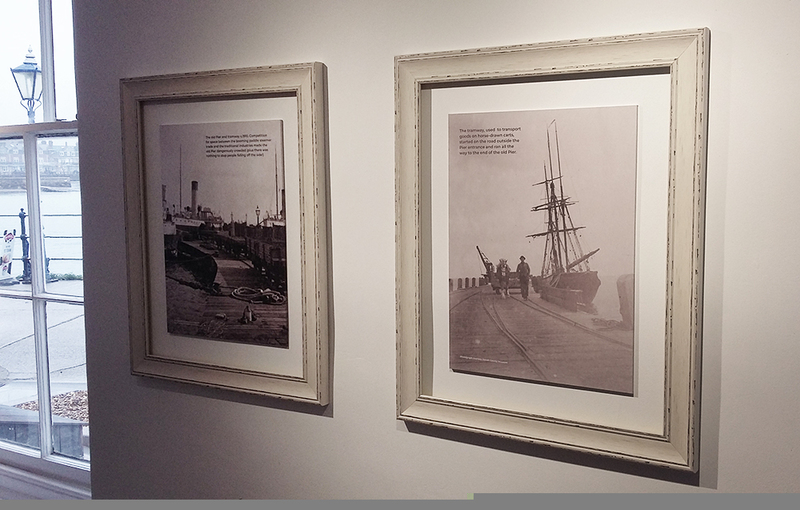 Wallis Agency have been involved from the start in designing, producing and developing interpretation. 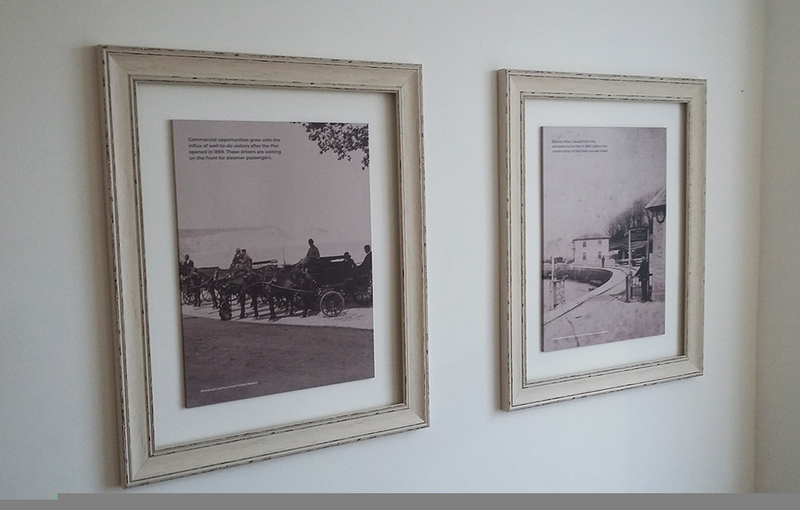 Our work covers audio visual elements, roomsets and dressing, environment design as well as traditional interpretation. 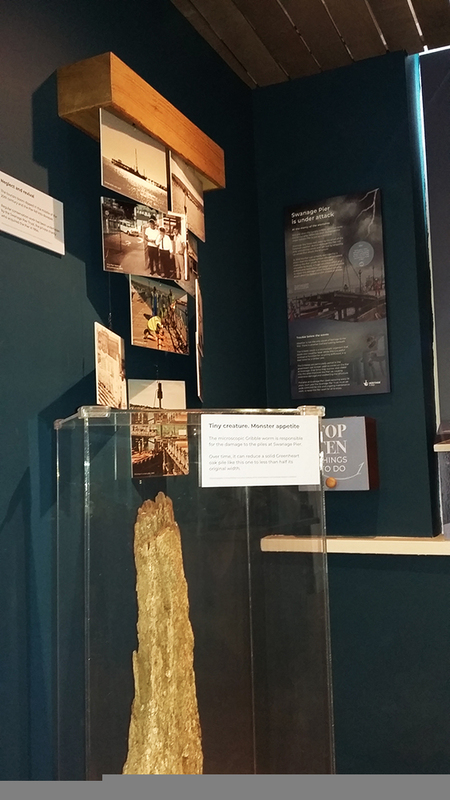 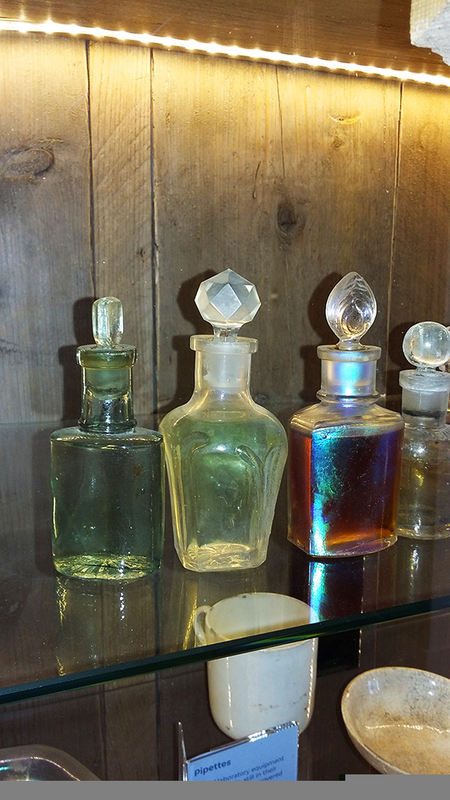 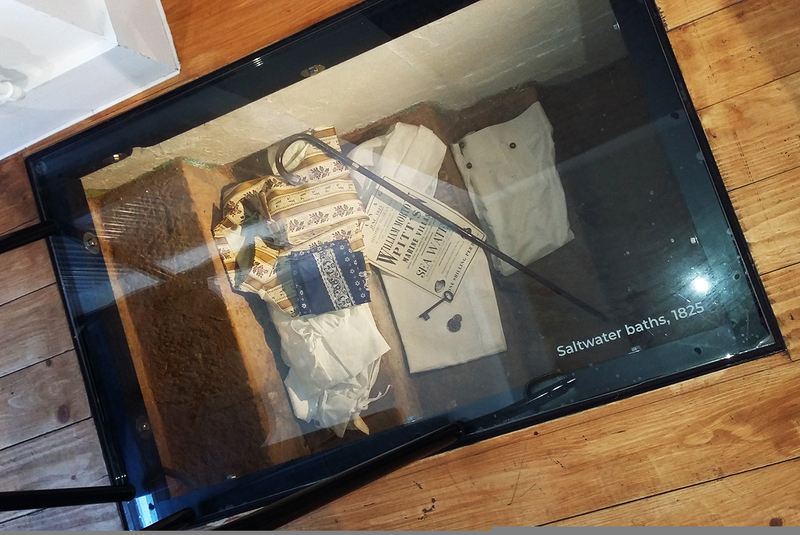 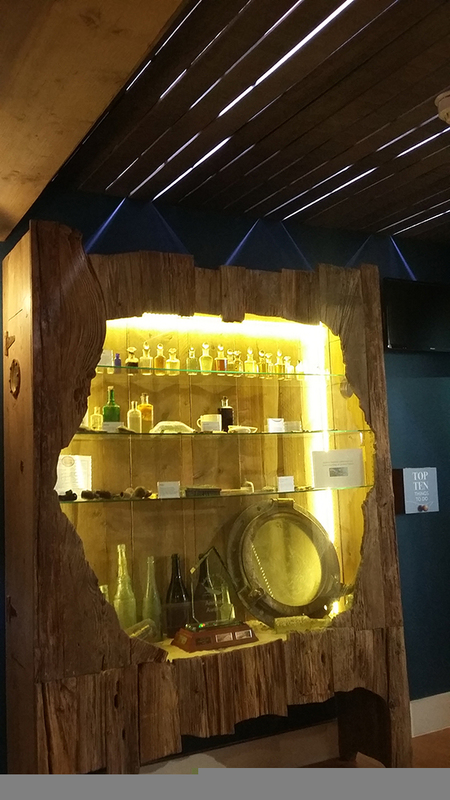 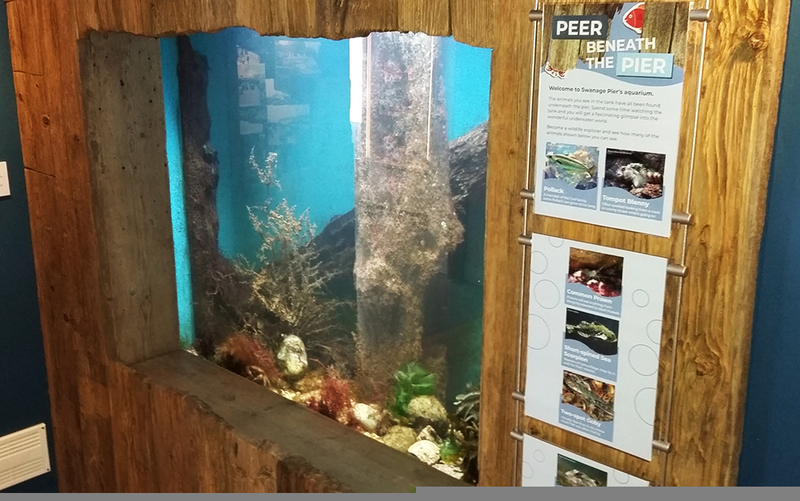 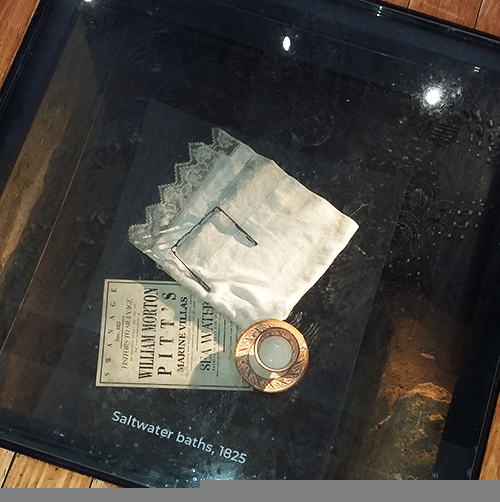 The visitor centre features an aquarium, views under the floor to an original 1825 saltwater bath and a touch screen. 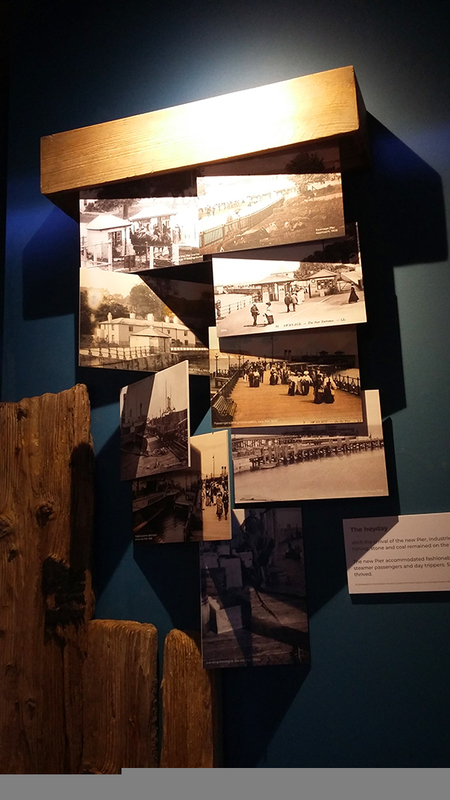 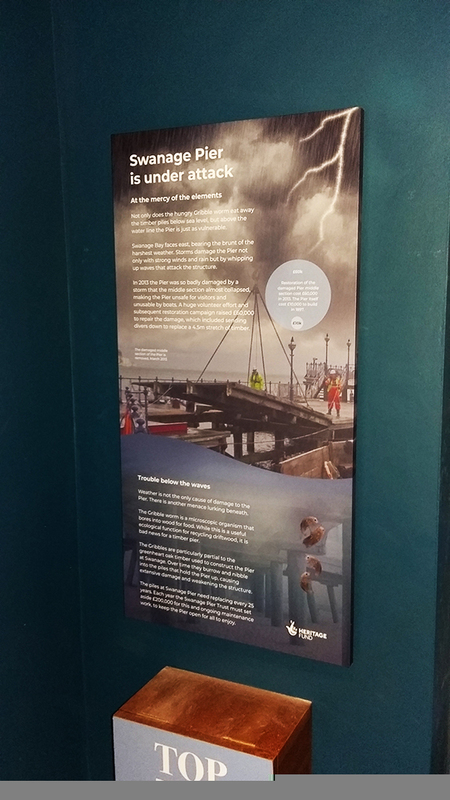 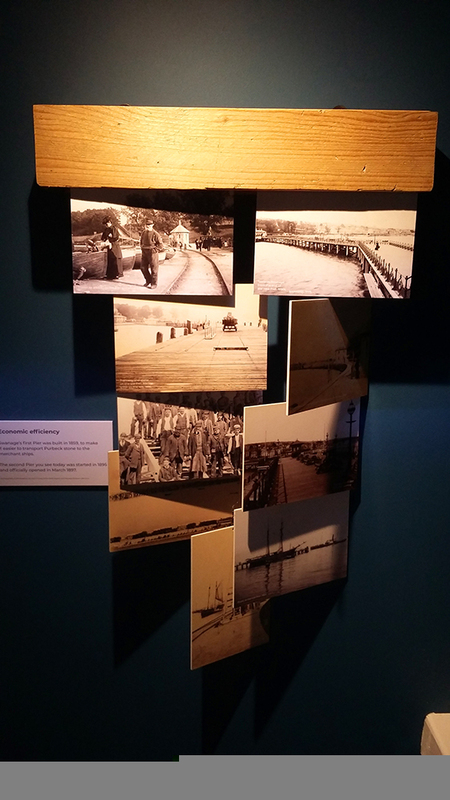 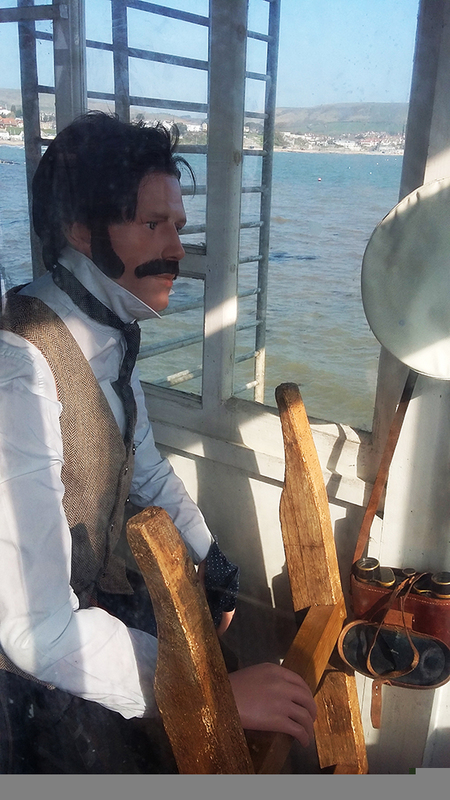 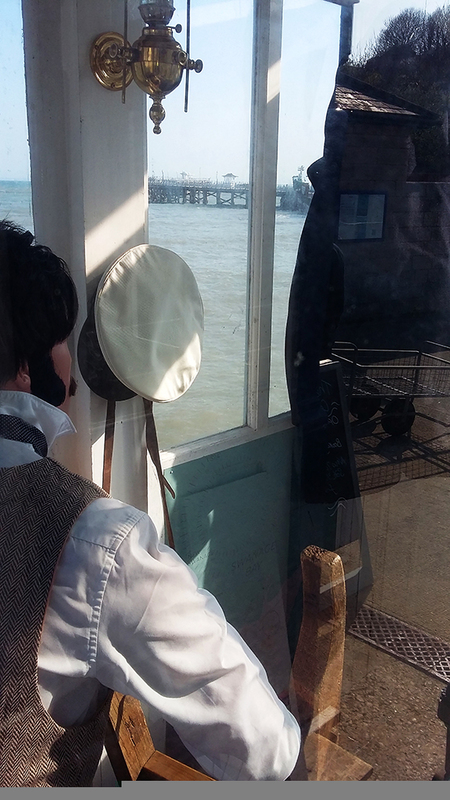 Outside interpretation includes an on-pier audio visual tour and a room dressing of the Victorian Piermaster’s kiosk, home to our very own mannequin.